Click the link below to visit DCI's Dealer Goods Site! DCI's Goods Webpage has items from shirts and giveaways to flags and tents for your business. These items are also available on SPG Goods, but we have a special program available through this site that is only available to DCI's valued customers. 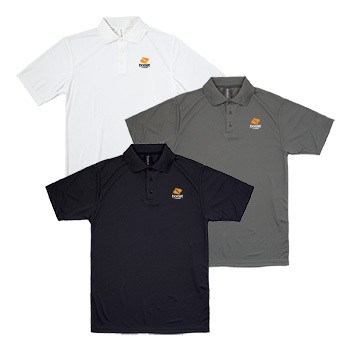 We encourage you take a look at the site and begin ordering your Boost Mobile uniform polos which are now SPG mandatory. DCI is offering to cover half of the cost for these items. Simply enter the gift coupon "SPLIT" for 50% off your order! For those who have not yet registered, please follow the link to DCI's SPG Goods Web Portal. Click the "Create An Account" link and enter your store information. Our team will verify your account for approval. Once you register, you can sign in and place your items in your cart. Make sure to enter your DCI coupon code and complete your checkout online. Your completed order will go into a pending status and will be reviewed by DCI for approval. Once approved, your items will be shipped out by Imagination Branding. Program is subject to change. All accounts and orders will be reviewed and require approval at the sole discretion of DCI. 50% off coupon code may change any time without notice.